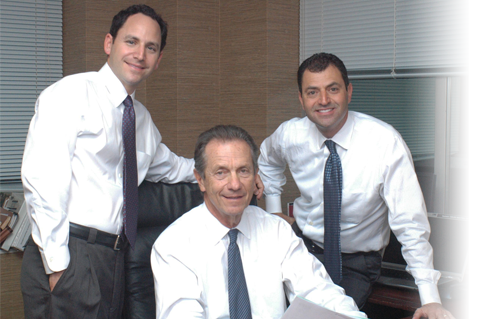 Weinberg Wealth Management is a boutique wealth management firm with deep roots in the community. Unlike larger firms, you work directly with management – experts who share a similar investment philosophy and provide the level of service you deserve. Do you need a refined, customized program tailored to your very personal goals? Steve began his career in financial services almost 40 years ago. From Broker to Branch Manager, from President & CEO of a regional money management firm to serving on the Investment Committee of their "family office," Steve has gained unparalleled exposure and access to elite money managers and their strategies. During the last 18 years as an investment advisor representative, Steve has refined his process of selecting money managers, monitoring their performance and retaining their services to serve the specific needs of each and every client. Grant is responsible for the direction and supervision of all operations of the Company. Prior to joining the Company in 2005, Grant was founder and President of Global Sports & Promotions, Inc. Grant is a graduate of Northwestern University and received a law degree from Case Western Reserve University. Jared came to our firm with eight years of leadership, management and sales skills. These skills were developed in his role as a broker, developer and manager of commercial real estate. Jared is a graduate of the University of Wisconsin and received a JD from The John Marshall Law School. Expert investment counsel to help successful individuals, families and foundations preserve and grow wealth from generation to generation. Guidance for plan participants in managing their 401(k) investments and plan sponsors to meet their fiduciary obligations. If you are seeking capital appreciation and asset preservation, contact a professional at Weinberg Wealth Management today.